If it were then they wouldn't need to link videos and wiki pages for new players to integrate into experiencing the game. How many people tried this game and left early because they had experiences similar to mine? For everyone person like me who points out this as a problem, how many people never actually bothered to say anything but just silently uninstalled? You're perfectly entitled to your politely expressed opinion, of which I have no problem; but let's be real here. Something is not working right with the game if it has so many installs yet so few playing it. I'm trying to help you guys understand why that is and some of the people here aren't doing the game any favors by denying it's a problem just because they personally don't feel they have a problem with it. At least the Devs acknowledged they are working on it. So my comment isn't directed at them. But the players who seem to want to blame other players, or deny the experience other players are dealing with, is an attitude that isn't going to help grow the game. Everyone here has been very patient & supportive of you voicing your negative opinions. You've essentially spent a great deal of time talking yourself out of ownership. I think we get that by now. 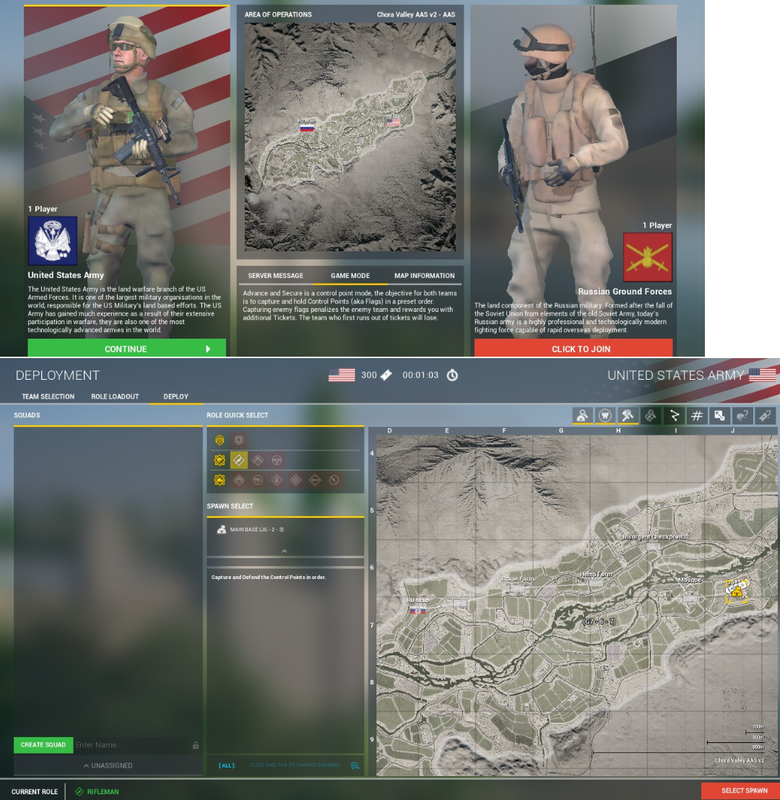 That said, there are many positive features to Squad, is there anything you actually like about the game? Merely repeating your claim, without justifying that claim, doesn't make it true. Your head's in the clouds. I don't like the UI because I would do it differently. I'm going to link the picture for you again because the UI tells you everything you need to know. Short of being blind you have absolutely no excuse of not understanding what you need to do. Yep. Think some of what you say has some merit in places, but it does seem hugely overstated. That doesn't work as an excuse when the devs put development resources into a second game (post scriptum) while their first game is still technically in early release phase after 3 years. I don't fault them for trying to inject some more cash into their company with a new release, but let's not pretend Squad still deserves to have the early access excuse by this point for failing to have certain basic necessities taken care of. ill admit i did dismiss him by saying the squad is in alpha, we need to listen to new as well as expirenced players to make this game even better! That's incorrect. There are multiple firing ranges available from the main menu that cover basically everything in the game. Not only that, in the settings you can enable tool tips for first time events and other things. Squad is very basic, simple and intuitive. I don't understand how anyone could think otherwise. First off, by default all the first event tool tips are on if I remember correctly. Secondly the firing range is prominently displayed along with the browser and settings in large bold text along the top right of the main page. It couldn't be any simpler. What I wanna know...Is OP IN or OUT!? I agree with all this, but with new players IF the SLs or others are not offering assistance certainly a short tutorial would not hurt. However its not difficult to pick it up from the UI . Yes -I'm honestly all for making what is a fairly complex game by general standards, at least parts of it, more accessible. There are no downsides to that - but it would almost have to be a deliberate act of ignorance to pretend that most gamers of a game like Squad - or any - have absolutely no ability to self-start as far as simply clicking on firing range or reading the information on the loadout screens etc. It's maybe a little too low in its estimation of people. As I said, I fully concede some things can be improved, and that maybe, for the sake of retention etc., some of these thngs could've been done earlier in the cycle, but.. we are where we are, and certainly realities exist. I'd honestly like to hear what OP envisages as a solution to all this, and that's no passive aggressive. I really would like to know.